Graduated from University of New South Wales, Sydney, Ar. 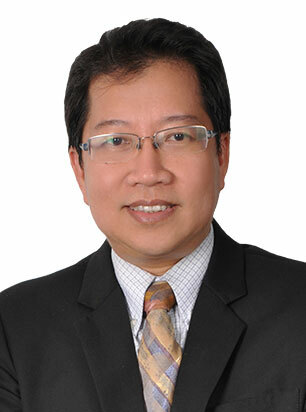 Lee Wee Meng is a professional architect with over twenty five years of experience in architectural design. Ar. Lee possesses exceptional skills and experience in planning, detailing, designing and coordinating projects both in the public and private sectors particularly in commercial and residential projects. With his dedication and leadership, Ar. Lee has built up a reputation for an exceptionally high level of partners and clients interaction by embodying every project with ample care and concern. Owing to his excellent interpersonal skills, Ar Lee is highly associated with external consulting engineers to ensure that the spaces designed are not only aesthetically pleasing, but also practical for occupants. He always consider projects’ economic viability in their designs and continuously strive for optimum design solutions. Ar. Lee also has great interest in environmentally friendly and sustainable building practices and has been actively incorporating into his recent projects. Ar. Lee is committed to continuously strive to uphold professional ethics while embracing responsibilities towards environmental awareness.